Walking distance from wedding caterer. Impeccable friendly service. I loved the convenience if early check in i had requested. Dirty towels. Checkin in procress was rushed by staff. The employees are very friendly and helpful. That's important to us. The location is excellent. The beds are atrocious. The pillows should have been thrown away long ago. They were the worst. Room location fine. The location was good. The front desk was friendly. 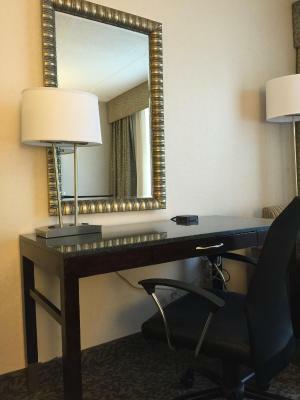 Holiday Inn Westbury-Long Island This rating is a reflection of how the property compares to the industry standard when it comes to price, facilities and services available. It's based on a self-evaluation by the property. Use this rating to help choose your stay! This Carle Place hotel is adjacent to Westbury Shopping Center and 3.7 mi from Garden City Golf Club. It features a 24-hour market or pantry in the lobby, and courtesy shuttle service within 5 mi radius of the hotel Monday through Friday at select times. 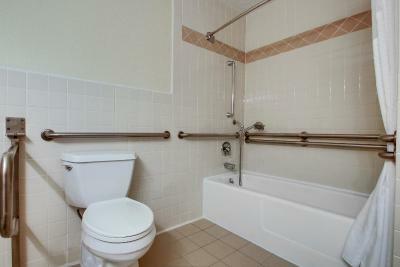 Every room at the Holiday Inn Westbury-Long Island is spacious and warmly decorated. 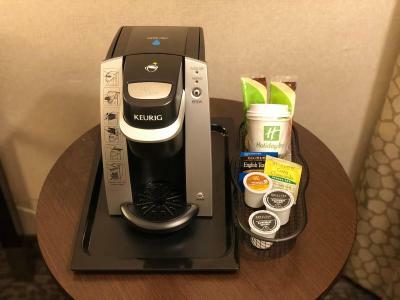 Each room includes a Keurig coffee maker with K-cups, large flat screen TV, iron & ironing board, and ergonomic work desk. Guests of the hotel can enjoy free Wi-Fi, access to the 24-hour fitness center, 24-hour business center, a large seasonal outdoor pool, and garden courtyard. 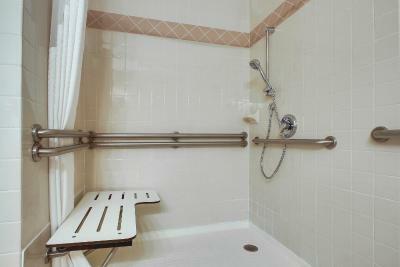 An on-site car rental desk and laundry facility are also available. LiLLiES Restaurant & Bar is open daily for breakfast & dinner at the Holiday Inn Westbury-Long Island, and serves Italian-American dishes. Located 14 mi from St. John's University Queens Campus, this hotel is 0.6 mi to the Long Island Railroad Carle Place train station into Manhattan. When would you like to stay at Holiday Inn Westbury-Long Island? This room features a flat-screen TV, a desk, and a coffee machine. Suite features a sofa bed and a flat screen TV. Welcome to the Holiday Inn Westbury! 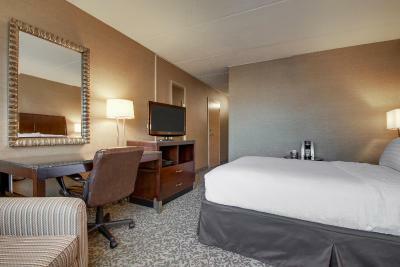 Our 152 room hotel is the perfect choice for business or leisure travel. You will enjoy comfort and impeccable service, plus the convenience of being within walking distance of many Long Island companies, attractions, shopping and restaurants. Take advantage of our brand new full-service LiLLiES Restaurant & Bar, onsite business center & fitness center, free 24-hour self-parking, outdoor swimming pool & beautiful garden courtyard (seasonal), and courtesy shuttle within 5 miles of the hotel (M-F, select times). Thank you for choosing to stay with the Holiday Inn Westbury! House Rules Holiday Inn Westbury-Long Island takes special requests – add in the next step! Holiday Inn Westbury-Long Island accepts these cards and reserves the right to temporarily hold an amount prior to arrival. The young female bartender seemed indifferent to customer requests in relation to ordering drinks- telling the customer how they should order drinks from her rather than listening to their requests. When asked for recommendations about her range of beers, she merely replied, “I don’t drink beer.”. The decor in the bedrooms and corridors could do with a refresh. The hotel was as we expected. The overall quality of accommodation in Long Island would be below the standard that we have experienced in other countries throughout Europe. Other than perhaps benefiting from a refresh of the decor in the rooms and corridors, the hotel was of a good standard. The staff at reception and in the restaurant were very helpfull and friendly. forgot my cordless headphones and didnt realise it. but i heard from the hotel they THOUGHT i was smoking in the room. I wasnt I never smoke inside that is why i always try to get a room near an exit .. so they billed me for smoking.. had to get cousin to use her car air freshner to get a nicer smell in my room. I adore this hotel and their staff so i never complained.. figured no biuggie.. I should have ...paid hundreds for smoking fee...now I know better next time i dont like a smell.. The room was not cleaned. I was not asked if I was ok or offered fresh towels. I had to ask for them. The trash was not changed. I had to ask to have it changed. I reserved a king bed non smoking. When I get there, no smoking allowed, so why play it as a feature? (There was a price diff for guaranteed non smoking. )On top of that we got a few twin bed for my gf and I. Totally unacceptable and uncomfortable for two ppl. It was close to Chateau Briand. Unclean towels staff didnt seem so welcoming. There was no fridge in the room! Old Country Rd traffic was a nightmare all the time. Needs a smal refrigerator, and air would turn on and off and we couldn’t control it. So we would sweat then freeze, then sweat again and freeze.